Is our online test and tag training course available anywhere? For all current students of our innovative On-line Test and Tag training course, follow this link to go to the videos page and log in as normal using you old password without the user name. 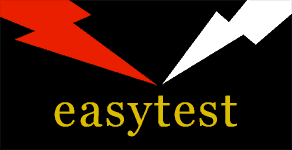 For information on our On-line training go to the on-line training page To view the easytest portable appliance tester go to our products page. Would your company pass a safety audit?